You can authenticate your app users with Firebase. By sending an email address and password entered by your app user, you can log users in, sign them up, retrieve and send data related to their account with your Firebase service. 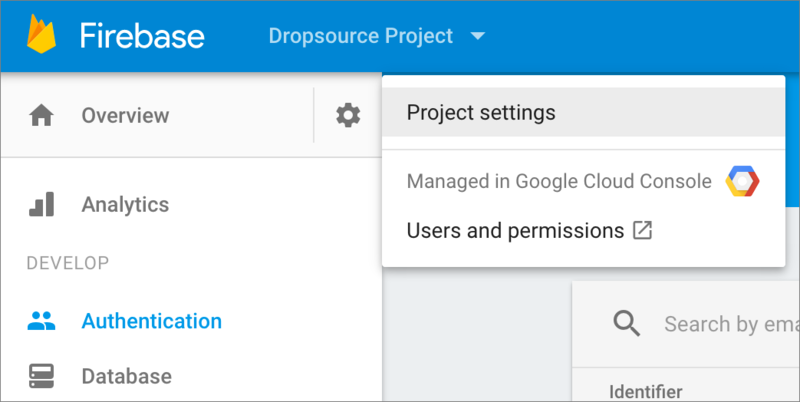 Note that you cannot currently connect your Dropsource app to Firebase database, however we are working on an integration, and a beta plugin for Android is available – contact Dropsource support via the Help button to find out more. If you haven’t already done so, set up your Firebase backend to accept user login. Open the project in your Firebase console and navigate to Authentication. In the Sign-In Method section, make sure Email/Password is enabled. 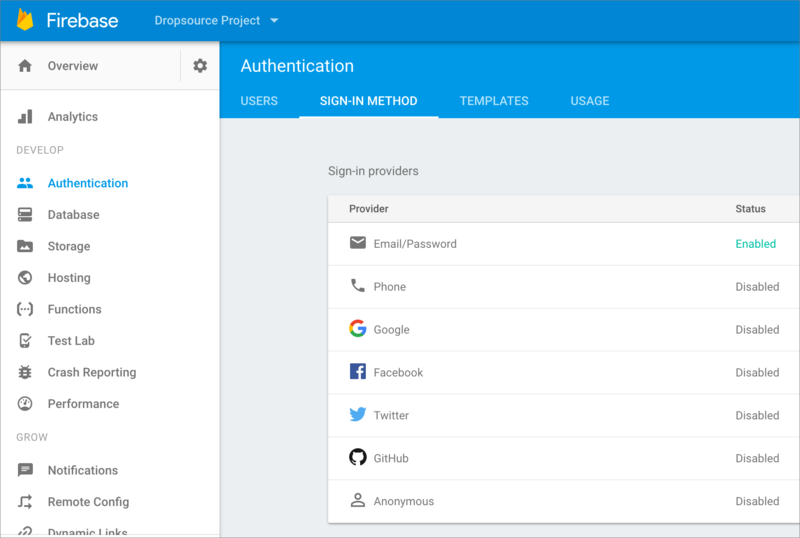 You will be able to authenticate any users already registered with your Firebase project, as well as signing new users up via your Dropsource app. You’ll find the Android Package ID in the Dropsource editor in Settings > Application. Your iOS bundle ID is com.dropsourcetesting.your-project-id where your-project-id is the number in your Dropsource project URL immediately following project/. Download the Google Services JSON (Android) / PLIST (iOS) file for your Firebase app. Navigate to your Project settings. In the Your apps section, download the google-services.json / GoogleService-Info.plist file. Add your Firebase details to your Dropsource project. In Settings > Firebase, upload the JSON / PLIST file you downloaded from your Firebase project. Any Firebase auth you carry out in the app will now be associated with the relevant Firebase project. Sign a user up or in to your app. 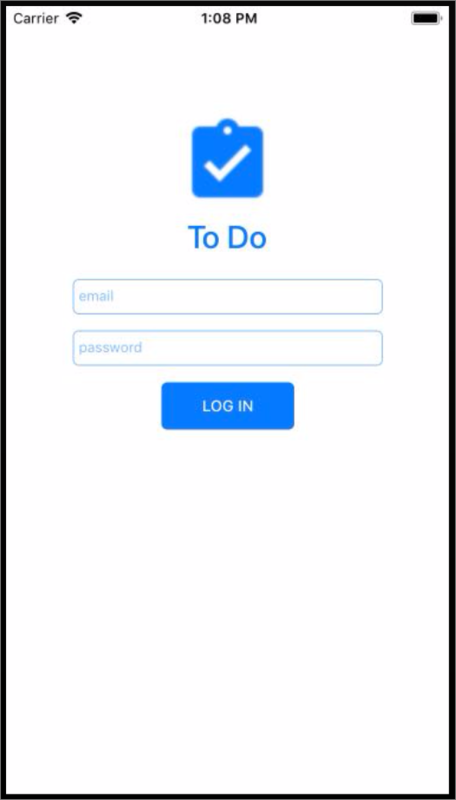 Use the Sign in user with Firebase authentication Action to sign an existing user in, or the Sign up user with Firebase authentication Action to register a new user with your service, for example in the Tapped Event of a Button Element. Pass the user’s email address and password from Text Fields in your page. Use the nested Success and Failed Events to respond to sign in / sign up – if successful you can access data from the user account via the Event Data. If sign in was unsuccessful you can retrieve the error message via the Event Data in the Failed Event. Your Dropsource app can carry out additional Firebase account Actions including updating the user details and sending password reset emails. You can also log events in Firebase to track user behavior in your app using the Actions to create, add data to, and submit Firebase events, as well as adding any user properties you need for analytics.